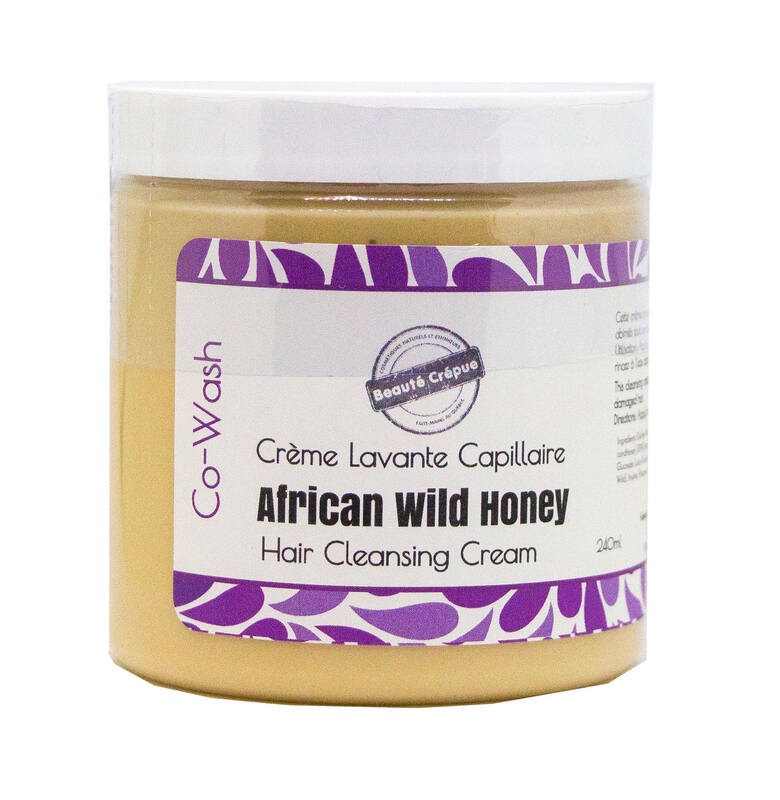 Beauté Crépue's Hair Cleansing Cream Co-Wash with African Wild Honey is a very moisturizing perfect for washing hair without drying. A real sweetness that cleans, detangles and protects very dry and damaged hair. Its use helps avoid frequent shampooing. It contains nourishing and protective vegetable oils and african wild honey to moisturize and strengthen the hair. Our African wild honey, Fairtrade, comes from Togo. It is a beauty secret that goes back centuries. The African wild honey is 100% natural, unpasteurized, unfiltered and unheated, retaining all its natural minerals, amino acids, vitamins, and making it an important ingredient in skin care and hair. Use: Apply to wet hair, massage gently and then rinse with clear water. Ingredients: Distilled Water, Organic Aloe Vera Gel, BTMS (emulsifier conditioner), Shea Butter, Stearic Acid, Castor Oil, Coco Betaine, Decyl Glucoside, Glycerin, HoneyQuat, Honey (African Wild), Rice Protein, Panthenol, Inuline, Colloïdal Oatmeal, Fragrance, Essential Oil of Lemon, Guar Gum, Vitamin E, Sodium Benzoate, Potassium Sorbate.